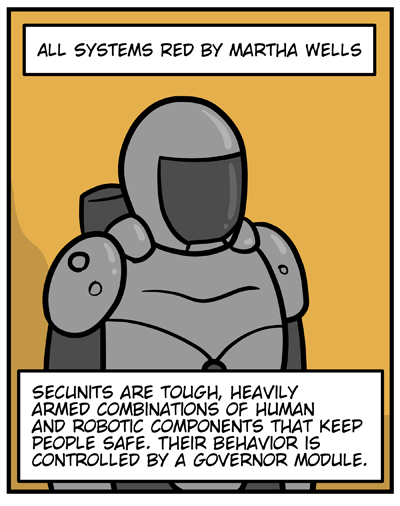 SecUnits are tough, heavily armed combinations of human and robotic components that keep people safe. Their behavior is controlled by a governor module. This SecUnit is accompanying members of a planetary survey team. 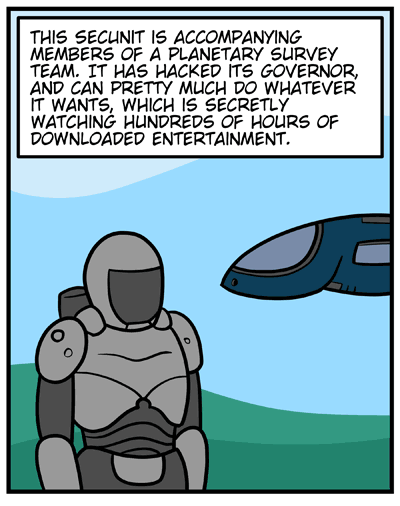 It has hacked its governor, and can pretty much do whatever it wants, which is secretly watching hundreds of hours of downloaded entertainment. 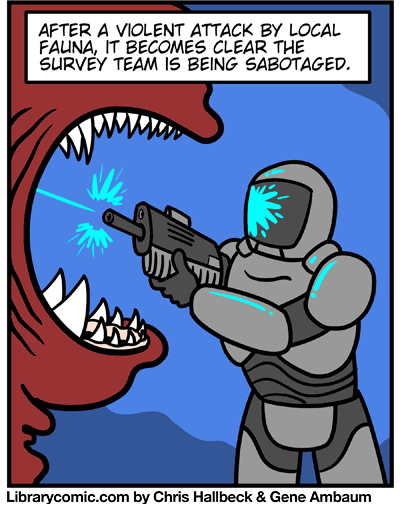 After a violent attack by local fauna, it becomes clear the survey team is being sabotaged. On a world where the scientists don’t know who to trust, a hacked SecUnit that’s been protecting them of its own accord might be their best ally. But will they believe that? 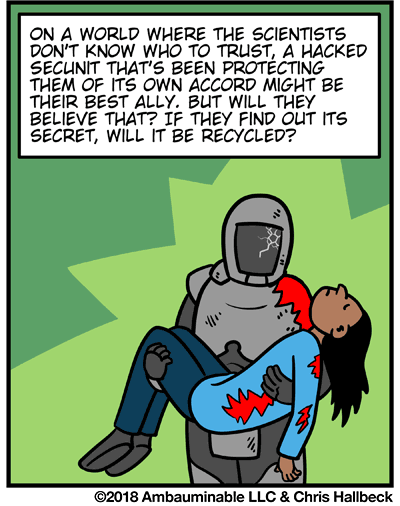 If they find out its secret, will it be recycled? Helloooooo book reviews! And what a title to start with! 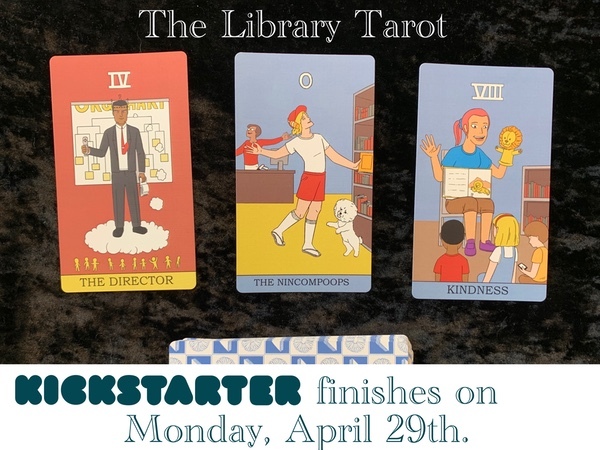 Murderbot is great–(im)patiently waiting for the third to come out in August. A wonderful return of a tradition. Will these crop up every Tuesday? Heartily seconding (thirding?) this rec. Murderbot is fabulous.